Having led and experienced adventures all over the place, I have seen many people forced outside of their comfort zone. Some handle it quite well while others seem to quickly fold under the pressure of risk and uncertainty. 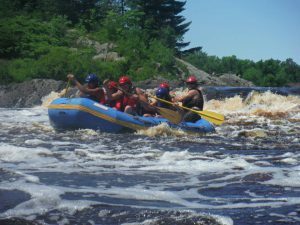 The sake of this blog is to help push people towards being more adventurous, like whitewater rafting on the St. Louis River. Even the most bold and adventurous can at times get stuck in a cycle of regularity. This isn’t the same as having a routine, such working out in the morning or brushing your teeth each night. This is about existing in a regularity free of risk, of avoiding new challenges, of living only in your comfort zone. Staying in our comfort zone too long can cause us to go stagnant and we cease to grow. It’s when we venture outside of our comfort zone through new experiences that we can grow. Coming out of your comfort zone doesn’t mean you have to take a massive jump into the unknown. For example, if you have never run before and throw yourself into a marathon without any training you aren’t likely to finish. Although you did get a new experience, you might not get the benefits you would have if you had trained first. It’s OK to take baby steps in some areas, such as physically taking on something new. In intellectual realms you just might have to dive into the abyss. Just try to use your best judgement when it comes to calculated risks or ask an expert. In this instance a guided adventure, such as whitewater rafting or another of our facilitated adventures can help you take a first (and safe) step. Fortunately, you don’t have to go it alone. That’s the beauty of having a supportive cast. Whether its friends, family, leading experts or an adventure facilitator (like me) there are people out there that you can talk to and get the support you need to face new challenges. If you want to try whitewater kayaking out and you are a little nervous, which is normal, then find an instructor. Find an expert, a new friend, anyone (trustworthy) that can help you try something new. Just accept that when you try something new you may look a little (or a lot) foolish as you are not an expert in this new activity. Most successful people will tell you that once they stopped worrying about what other people thought of them they enjoyed life more. Just try your best and not worry about the outcome but just be in the moment. 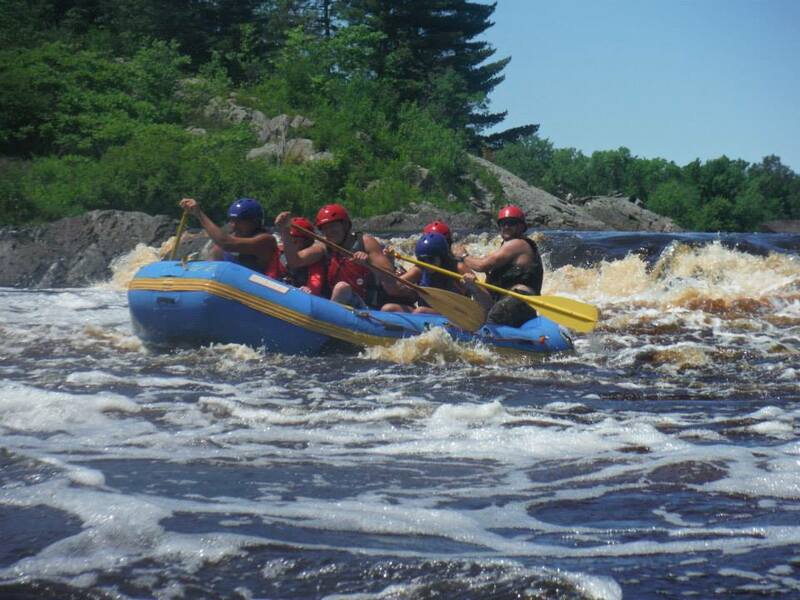 Speaking of looking silly, I have yet to see anyone look cool in photos of people whitewater rafting the Electric Ledge rapid on the St. Louis River. Those that smile at least are having fun, while looking silly! Accept that fact that you will be nervous or afraid when you try something new. It does require bravery to venture out of our comfort zones, but if we truly want to grow we must take the risk and face our fears. Remember bravery isn’t the absence of fear but the fortitude to continue on in the face of it. They say if you go there in the mind the body will follow. Visualize your success, whatever that new experience is. Imagine you are doing it well and all the feelings of joy that accompany it. We could write volumes on ways to venture out of our comfort zones but I think we have a good start, or at the very least some simple guideline to follow. The team building adventures Swiftwater Adventures and our sister company Evolve Endeavors offer are about taking you and your team out of the regularity of the office, the safe places we have in the physical world and in our minds, and experiencing new challenges. No risk, no biscuit! Contact us today to book your rafting trip or team building adventure!